From small, simple, static websites to large, database driven, dynamic websites, by Design delivers clear, hassle-free navigation, with graphics that enhance your message rather than interfere with it. Rollovers, forms, Flash, dropdown menus, etc. will be used as appropriate to heighten the experience for visitors to your site and better help deliver your message. 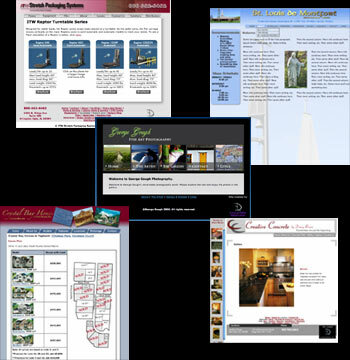 Your website can complement your printed materials and further strengthen your brand identity. If you want to revamp an existing site, or are getting started with your first -- by Design is for you. ©2007-2012 Jo Ann Comito, by Design. All rights reserved.